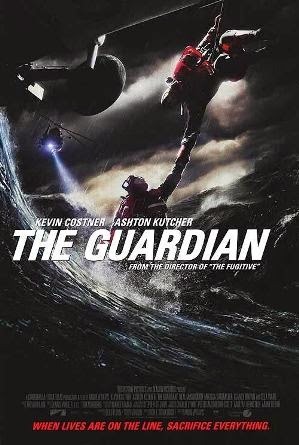 A few years back there was a movie released called The Guardian. The movie centers on the rescue swimmers for the United States Coast Guard. These are the men and women who valiantly defy all risk and harm, diving into storms to save drowning service men. If you’re one of these rescue swimmers you can confidently know that your work matters, your efforts are not in vain, and the lives saved will be your badge of a life well-lived. A few months back I (Justin) started a meeting for a small group of men. The point was the have a very intentional and personal relationship with these men. The nature of this relationship would be primarily in spiritual guidance – discipleship. The more that I meet with these men the more that I find myself identifying with these sorts of films. Don’t get me wrong. This isn’t a sort of messiah complex, where I have to jump in and save these men. It is quite the contrary. The theme that I identify with is the drowning, not the rescuing. The men that I meet with are fighting to stay afloat. Drugs, alcohol, violence, all are undercurrents pulling them under the surface of the water. On Wednesday evenings we come together and they take in one big gulp of oxygen, only to wake up the following morning to the same titanic waves threatening their very existence. Of course, the drowning for me is a bit different. I walk into the room where we meet, and that’s where the drowning begins. Every single day is an exercise in recognizing how incapable I actually am. In my own strength and wisdom, I have nothing to offer these men. I hear myself regurgitating biblical truths and think “tomorrow they will face a myriad of challenges that I know nothing about, I sure hope this helps.” The drive home from those meetings is often lonely. I am constantly faced with the undercurrents of my own inadequacy. For the USCS rescue swimmers, the Guardian was a legend. For missionaries, drunks, murderers, suburbanites, addicts and anything in-between, the Guardian is a reality that we must cling to. Once we confess that Christ is King and begin to follow Jesus, the waves don’t calm down. As a matter of fact, for many, it seems like the waves intensify, for a time. As followers of Jesus we know that our King can lead us by still waters, yet we find our lives too often characterized by chaotic waves deafening the still voice of the Guardian who is with us. Every Wednesday night I come to recognize that fighting the waves is a useless battle. The magnitude of the ocean that is the human life is way to vast and way too strong for a measly little guy like me. Instead of battling, I must learn to rest in the Guardian. Jesus Christ is not just the last hope –He is the only hope. He is the only hope for any and every vice that a human will face. Only Jesus satisfies, only Jesus heals, only Jesus restores. He is the fisher of men. He is the one who rescues. He is the one who willingly dove into the chaos that my sin caused, pulled my head above the water, and is carrying me to safety. And, He is the only one that can do that for the men that I meet with as well. I can’t. I’m drowning. Jesus is the Guardian.